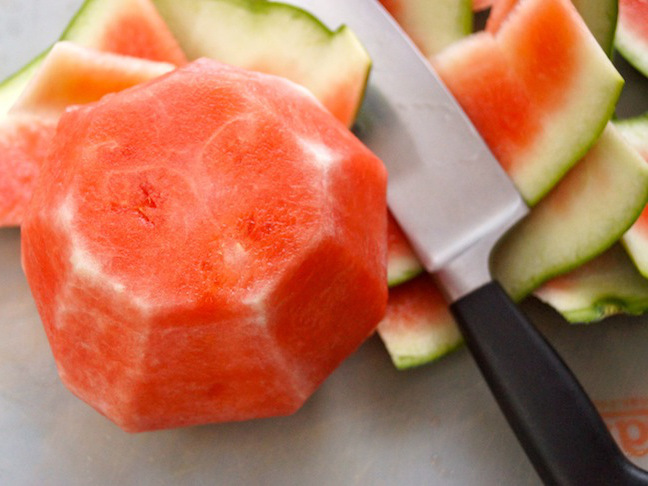 Nothing says summertime like watermelon. 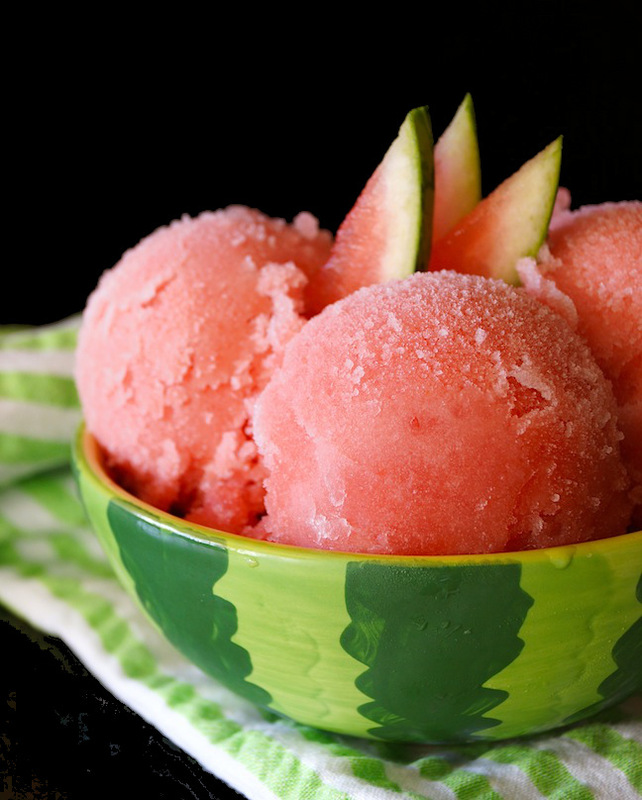 And even more so when you turn it into a sweet and refreshing sorbet. 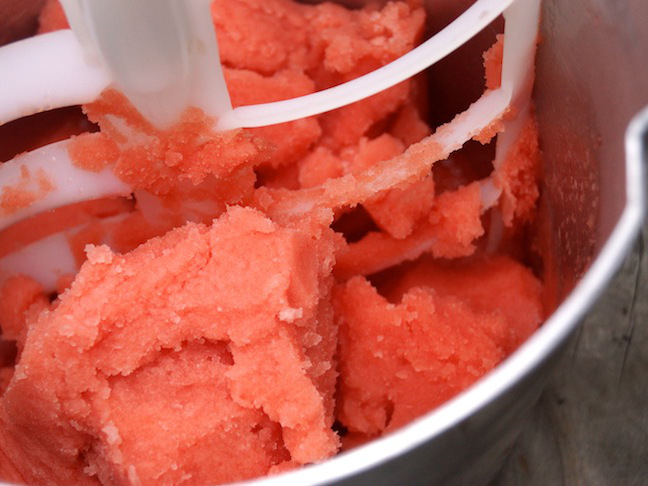 This watermelon sorbet dessert is somewhere between ice cream and a slush, and there is literally no dessert that’s more refreshing. My ten year old could eat this all day, any day. He loves it. 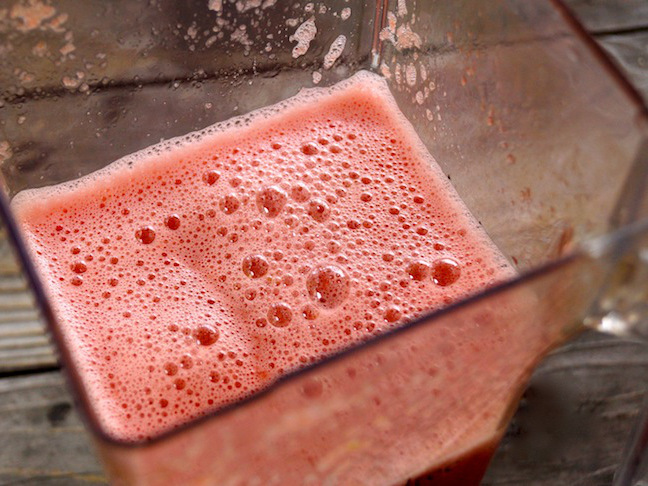 Tip: There isn’t too much added sugar in this recipe, and if your watermelon is especially sweet, you can adjust it accordingly, using even less. 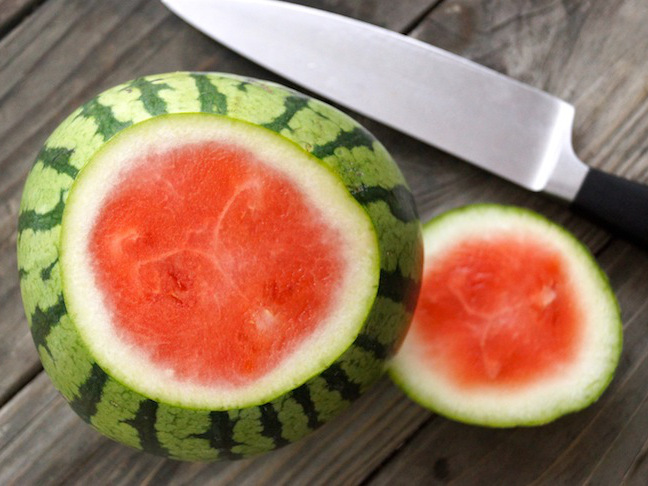 Step 1: Slice about ½ inch off of the bottom and top of the small watermelon. 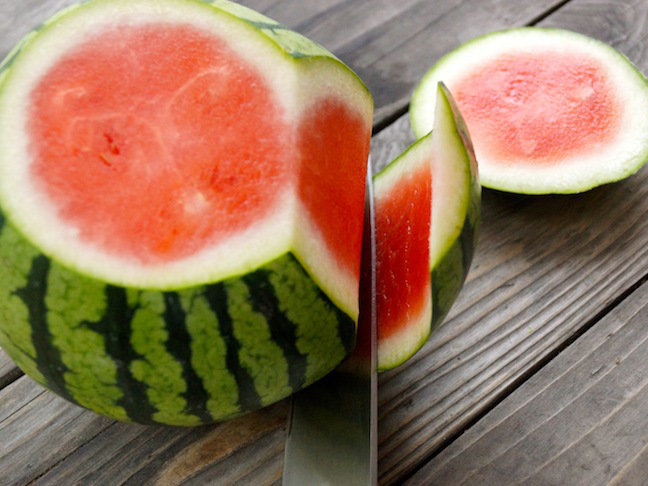 Step 2: Use a chef's knife to cut the skin off the watermelon, sliding it between the rind and the flesh. Go all the way around the melon until all of the skin and rind has been removed. 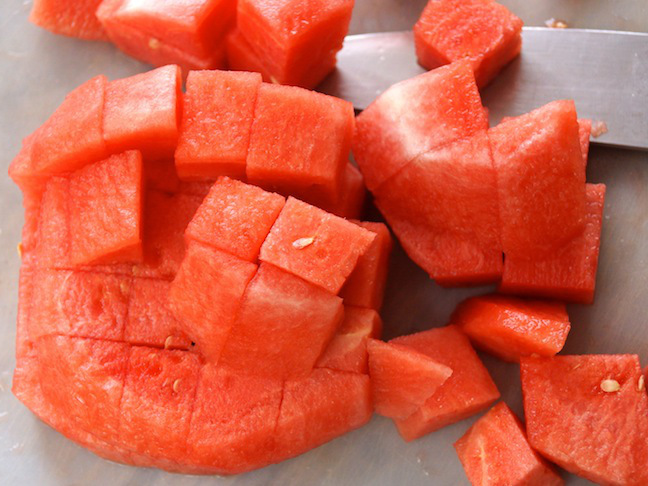 Step 3: Cut the watermelon into large chunks. 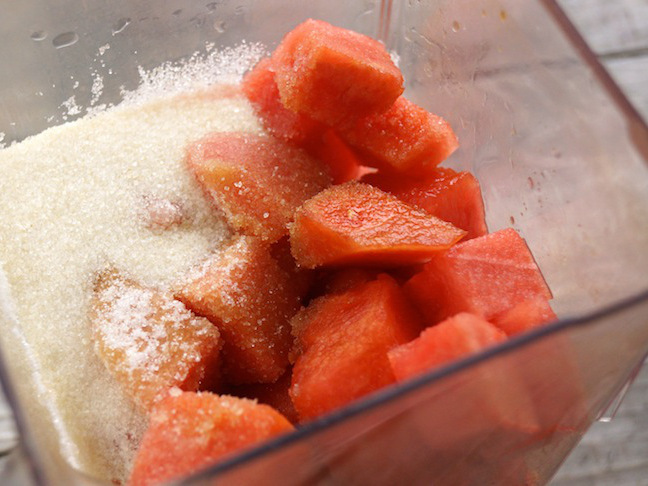 Step 4: Add the watermelon chunks, sugar, vanilla, and water to a blender. 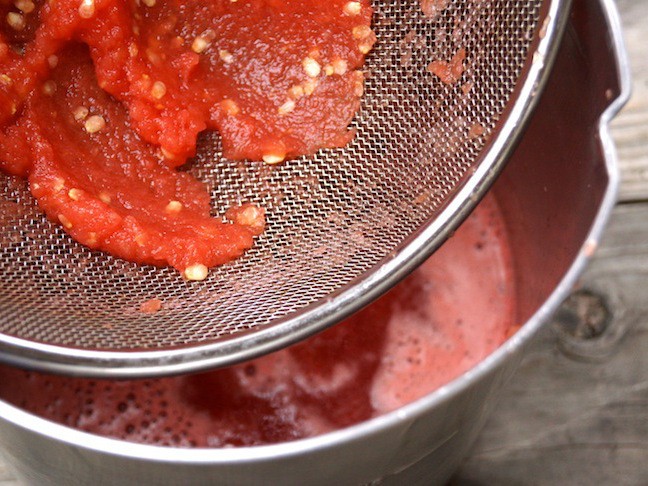 Step 5: Blend until you have a very smooth mixture, about 30 seconds. It will be on the thin side and will be frothy on top. Step 7: Pour the strained mixture into your ice cream maker (if it wasn't already strained into it), and follow the manufacturer's instructions. You can serve the sorbet straight from the ice cream maker, or for a firmer texture, place it in an airtight container in the freezer for a couple of hours first.